I have never walked away from a Michael Caine film and not said, "My, he's a splendid actor." He's been in a lot of movies and I've seen many of them — too many to remember and to name. He's been in good, mediocre and bad movies and people make jokes about his choices and how he's never turned down a role. It may be that he plays on that. I read a good little story about him recently. He said someone asked him how he chooses his parts and he said, "When they give me a script, I look at the first page and the last page. If my character is on both pages, I accept the part." I loved Educating Rita. It's one of the movies I go back and watch every so often. I looked it up recently and was surprised to see that it came out in 1983. 1983! It's aged well. 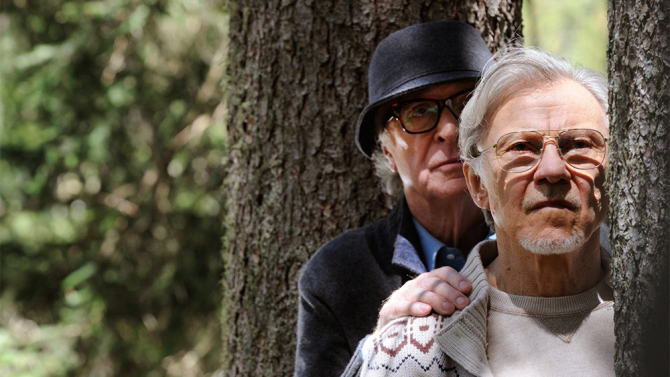 Today, I saw Michael Caine in Youth. Also Harvey Keitel, Rachel Weisz, Paul Dano with a cameo by Jane Fonda. I don't want to tell you too much about it about it because maybe you'll go see it. 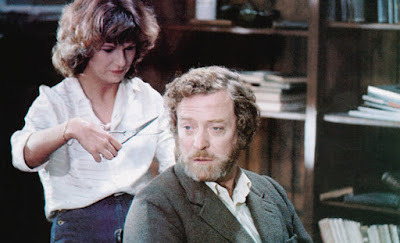 I will say that, on leaving the theatre, I said my usual thing about Michael Caine's acting and I also said, "This film should win all the awards." Septuagenarian best friends Fred Ballinger and Mick Boyle are on vacation in the Swiss Alps, staying at a luxury resort. Fred is a retired composer of classical music; at the hotel, he is approached by an emissary for Queen Elizabeth II to perform his popular piece "Simple Songs" at Prince Philip's birthday concert. Fred turns down the offer, claiming he is not interested in performing anymore – although he still composes pieces in his head when alone. Mick is a filmmaker, and is working with a group of writers to develop the screenplay for his latest film, which he calls his "testament". Also with them is actor Jimmy Tree, who is researching for an upcoming role and frustrated that he is only remembered for his role as a robot. The hotel is inhabited by other quirky individuals, including a young masseuse, an overweight Maradona, and Miss Universe. I was interested to read that a theatre-full of critics saw it in Cannes last May and when it was over, half the theatre boo-ed and the other half bravo-ed. I suppose there's no accounting for taste. I would have been in the cheering section. I can't even imagine what people found to boo about. The scenery was beyond spectacular and I say that even though I don't like mountains. And Jane Fonda, known most recently for her vocation in non-aging, showed her age — and then some — playing a part that gained her some award nominations and lots of critical acclaim. Michael Caine has won two Oscars, both in the supporting actor category. I hope he lives many more years and plays many more parts and I hope he'll win an Academy Award for Best Actor. I'll be cheering him on.